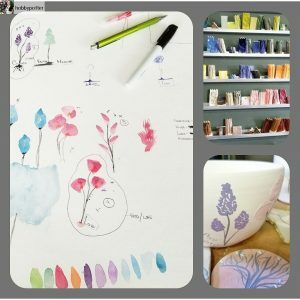 Back for another week inside & outside the pottery studio and I’m journaling my projects, progress and learning experiences (both the good & bad)! 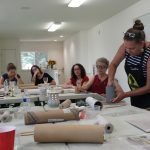 – A Clay Party! 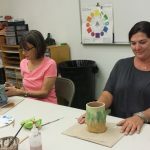 : The week started of great as I ventured outside my studio for a fun ceramic adventure at the “Chartreuse Muse Art Gallery” in Modesto, CA. 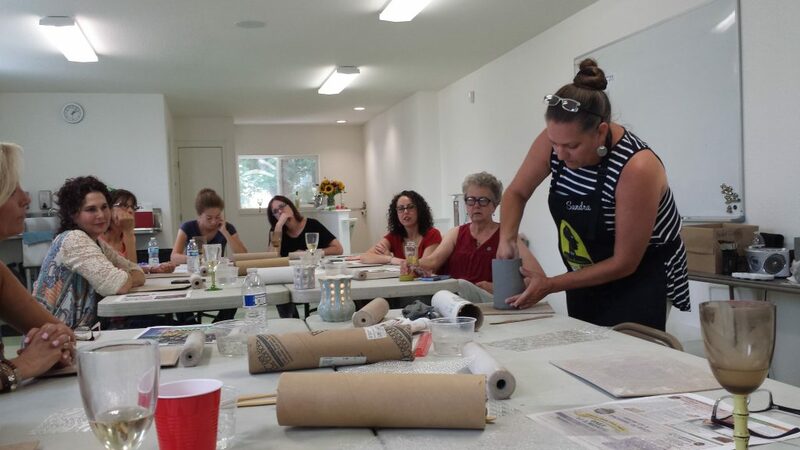 I celebrated the birthday of my artist friend Nicole Slater, along with her girlfriends, by enjoying a class on building luminaries (wonderfully taught by Ceramic Artist & Co-Owner of the gallery Sandra Veneman)! 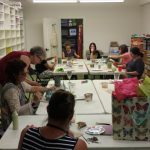 Being surrounded by other people all chatting and playing with clay together was definitely a new exciting experience! I got so immersed in what other people were making I actually forgot to get a posterity photo of what I made(I’ll share it when it’s finished! 🙂 I learned a new perspective on hand-building cylinders and loved the fact I had to get creative without all my usual studio tools! I’d recommend it for everyone! – On the Wheel – Trimming & Marble Textures: The bowls made in last week’s episode needed a trim, so I jumped on the pottery wheel to finish things up. They did get a little more dry than I like, but was still able to trim. 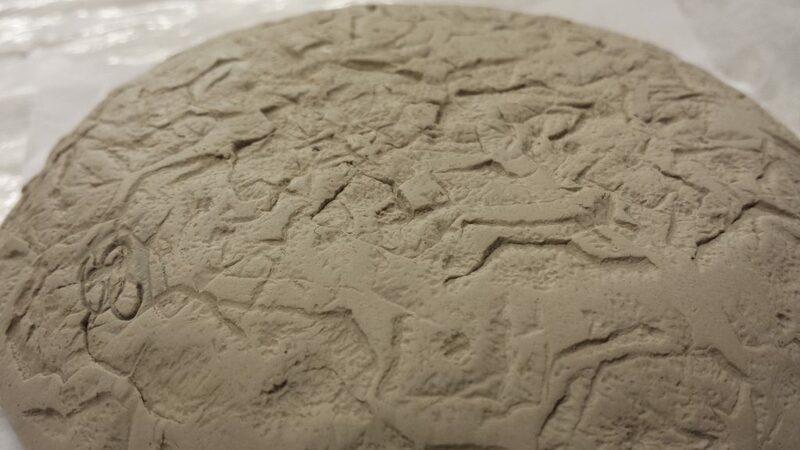 This brown stoneware reclaimed clay is amazing for special effects! 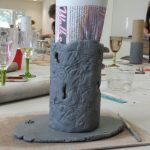 Because it was reclaimed using remnants of the previously pugged white stoneware and also had some sculpture clay thrown in, the trimming results are always unique. With the added chunks of white clay, it trims out to an interesting marbled texture. Sadly it’s 15 pound away from extinction as I’ve run out and there is no way to recreate this formula exactly. Thankful and excited about these bowls. 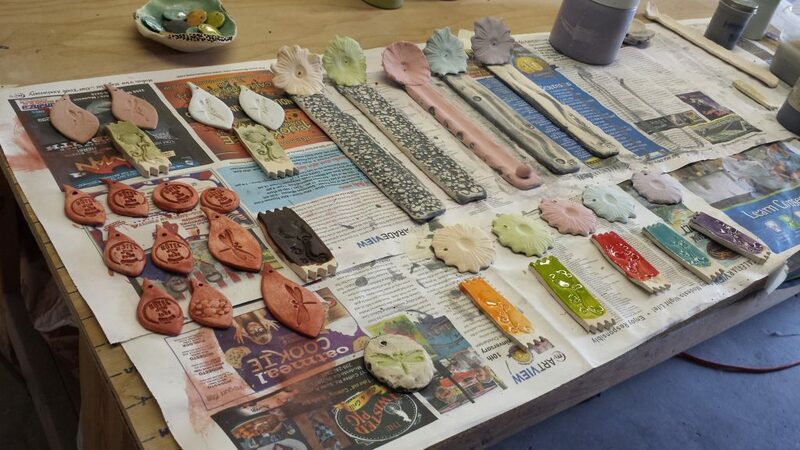 – Glazing & Testing: Opened the bisque load of projects worked on in past episodes. 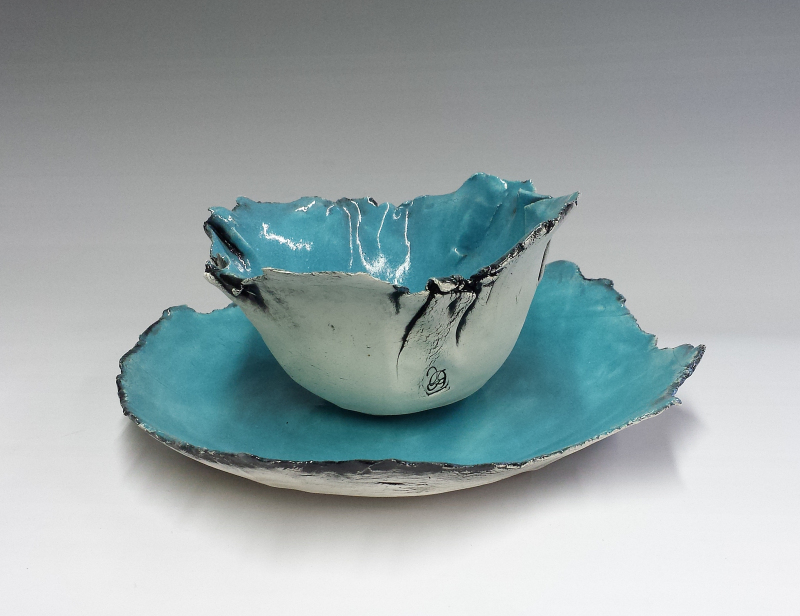 The pieces were low fired (bisque fired) to Cone 04 in my Skutt Kiln – KM1018. Thanks for watching and please feel free to comment, I’d be happy to hear from you! It’s summer in my town…and boy has it been hot! 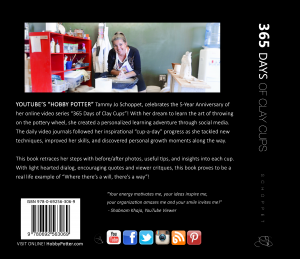 Here is the second installment in the Hobby Potter Weekly video series for 2016! Catch you at the end for some additional thoughts! 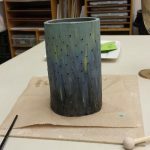 Soft Clay / Wet Clay – I initially started trying out my wheel again with earthenware, but realized it was not in the softest state so switched to the brown stoneware. Huge difference! The goal now is to keep all my clay this soft!. Since this overly wet clay is unfamiliar, it may be a little more challenging to throw. 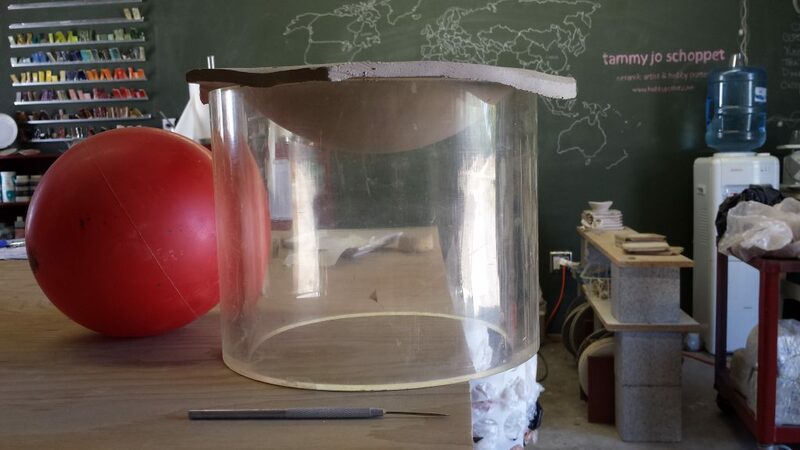 so I’ll need to adjust my pressure to avoid it imploding while throwing! Sponge it! I learned to use my knuckle for pulling up walls on the wheel, which for now is a big ouch! So for some added cushion and support I’m using the sponge. 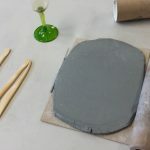 What I found out was the sponge will also absorb some of the water from the super wet clay firming it up and making it more stable…what a perk! Of course, I’ll be re-learning my hand pressure because for some reason less pressure is needed when using the sponge. I’ll keep trying until I get the feel of a smooth throw. 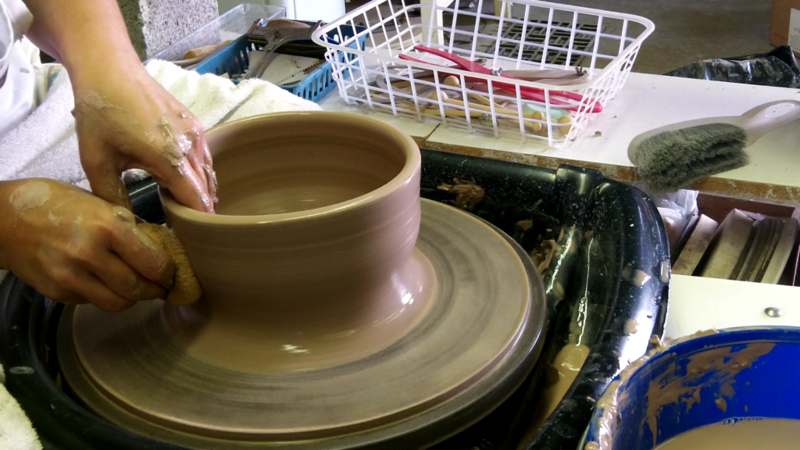 I LOVE the pottery wheel! I thought it would be fun to share a tool that has drawn the most interest and attention over the last 5 years of publishing videos. 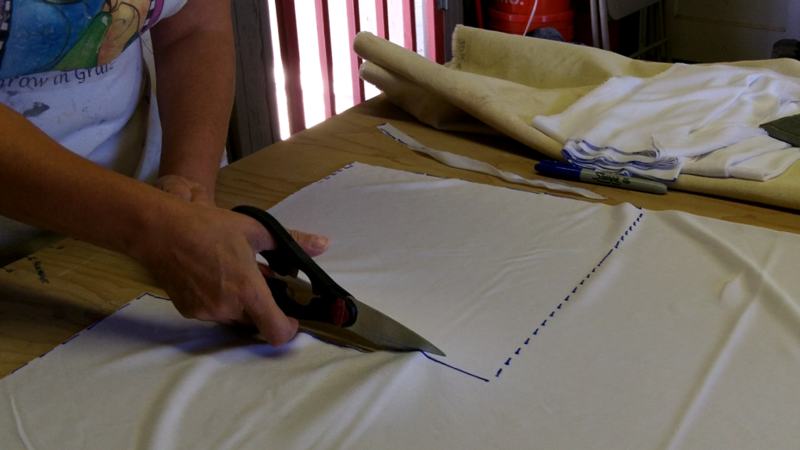 It’s extremely expensive and can only be purchased through high quality stores….NOT! 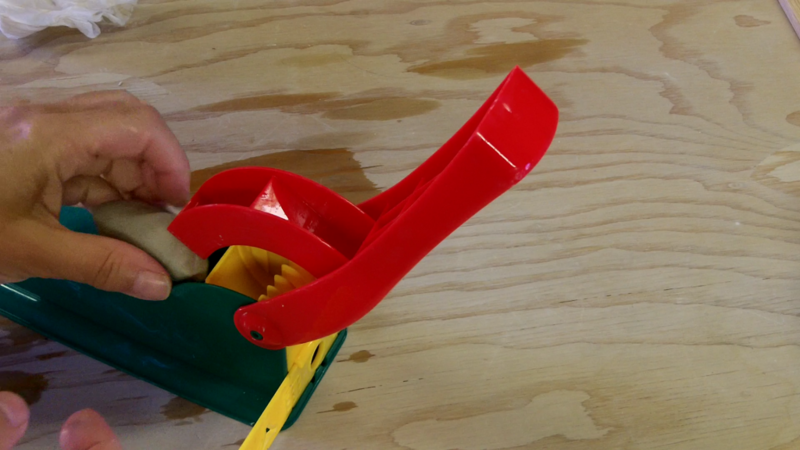 The Tool…A 20 “something” year old Fun Factory Playdough Extruder Toy! The coils are great for cup handles, feet or anything you would use a small coil for, but don’t want to go through the hassle of whipping out a large extruder! It’s very convenient and the clean up is easy. It’s a keeper! I’m trying to think of ways to streamline processes. To keep the clay off rollers and minimize unwanted textures, I decided to invest in some smooth textured fabric for a more clean clay surface. 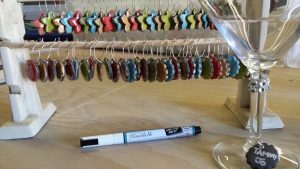 –Working Small – This week I started to create “tiny” items for the Modesto Modshop event in November! Something reproduce-able, functional and small that will fit within a 4′ table. 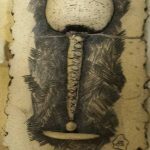 Nick Prouse (a Facebook potter friend…thanks buddy) recommended pendants since it’s an Indy market situation. Perfect Idea!!! Something I realized about myself, Working larger is more my thing. 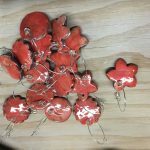 Maybe because I don’t naturally have a place in my heart for “bling” or jewelry, I was having a challenge “finding the love” and inspiration while making them. 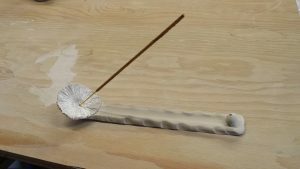 Now making the incense burners was a different story! Since this is something I use A LOT of in my country studio it had more meaning (because when they spread that cow manure, I tell ya some intense smells are needed to counteract it !!!). I really felt more inspired to make something both lovely and functional! They will stay on the Do It Again list because my mind was full of possibilities! Well that’s it for this week! Please feel free to comment, I’d be happy to hear from you! 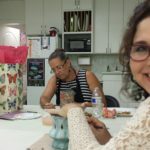 Hobby Potter Weekly is back! For the remainder of this year (until December 3rd) I’ll be sharing my weekly thoughts, activities and learning experiences in the studio! 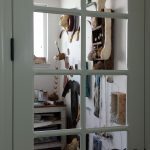 Blog posts will include a little more insight to my studio meanderings and also serve as a nice printed retrospect. 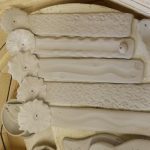 I have been avoiding making these hump molds from plaster for a couple years now. Once I saw the video on Youtube I HAD to give it a try and make my own. Just when I was beginning to doubt purchasing these large plastic tubes at a yard sale, it really came in handy for this project. Kari uses buckets to make her molds (which I will probably do in the future for larger molds). This hollow tube allowed me to open up the bottom of the tube to allow air from both the top and the bottom. This helped with even drying. Super excited this worked out so well! 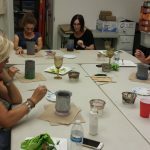 Creating “Soul Bowls” – A Texture from Israel! 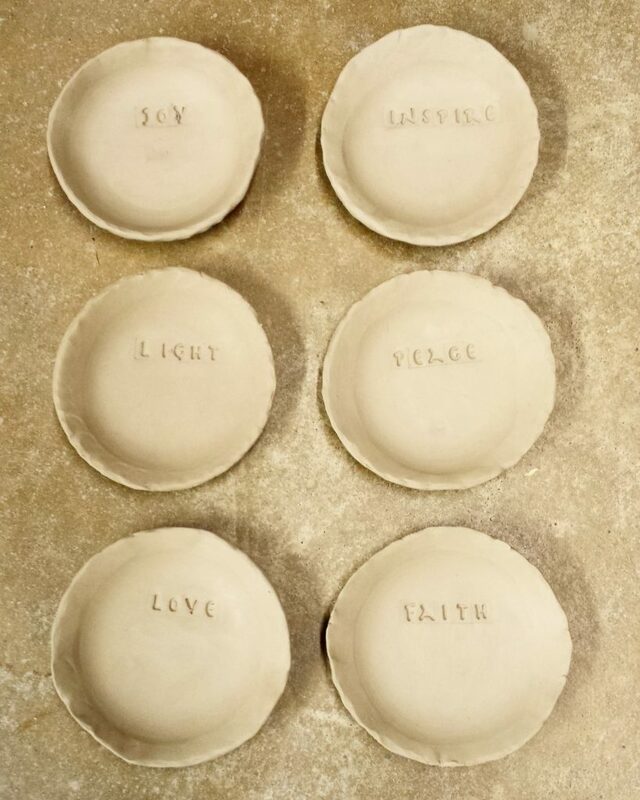 Words can build, encourage, uplift, inspire or remind us…I wanted to make pretty bowls with inspiring reminders with words that are good for the “soul”! My beautiful friend Anya and her husband made the trip of a lifetime to Israel! As they traveled to significant landmarks, she would pick up a piece or wood or rock or seed pod if they had amazing textures. When she returned, she unfolded wonderful stories as she presented me with each special treasure. The texture I chose for these “Soul Bowls” was a conifer seed pod, found in the Garden Tomb area of Jerusalem. 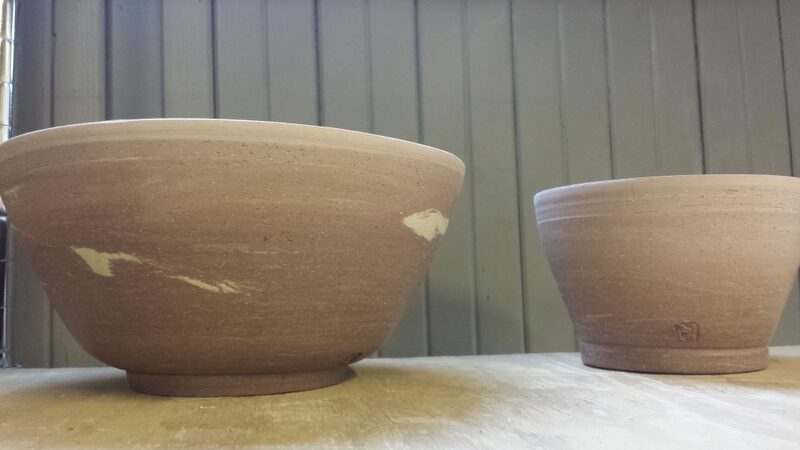 These are still in the trial stages as far as finished forms, but are simple and pleasing. I want to fine tune these a little more to see if I can make them a part of my new Amazon Handmade shopping area… (excited to have just received the approval notification a couple days)! Trying something new is one of my favorite things to do in the studio. 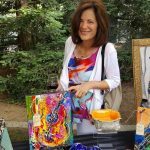 So when I request that the Carnegie Art Center was have a Children’s Literature event to celebrate their 100 Year Anniversary, I was thrilled to donate a piece! They were also having a call to artists for submission for the gallery itself so I thought I’d give it a go! 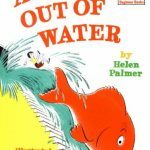 So I picked a couple of books I liked when I was little … “A Fish Out of Water” was a favorite I can still hear my father reading to me and Dr. Seuss and I are like kindred spirits!! 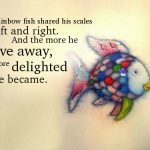 “Rainbow Fish”, which is a more recent favorite, is an inspiring story or sharing and beautiful imagery. Well that is it for this weeks Hobby Potter Weekly! Come back to see me next week! I recently had the privilege of being apart of a 6 artist team pulled together by Nicole Slater, (a fine artist friend). 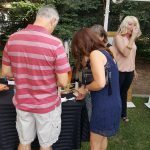 We were asked to show our work at a winery concert held in Ripon, CA. 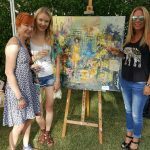 Lucca Winery hosts a Summer Concert Series featuring music, food and wine tasting once a month and we were to bring our art! Throughout the month of May, I really enjoyed working in a strictly “artistic” sense, where my mind wasn’t bouncing back and forth (as it usually does) from “functional to artistic”. I took video snippets along the way and was surprised by how much footage I accumulated. 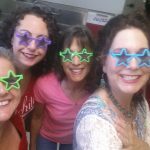 Here is the edited down version of my adventure preparing for this event! Needless to say that from start to finish it was an enjoyable experience, even with the two pieces cracking! I learned valuable lessons from it so here is what I got! This was my first real attempt working with a flat slab of this size and hoping it would remain FLAT! It’s a little more tricky than it seemed. It started warping during the initial drying phase, so I’m researching the different ways to adjust drying so I can achieve this in the future. 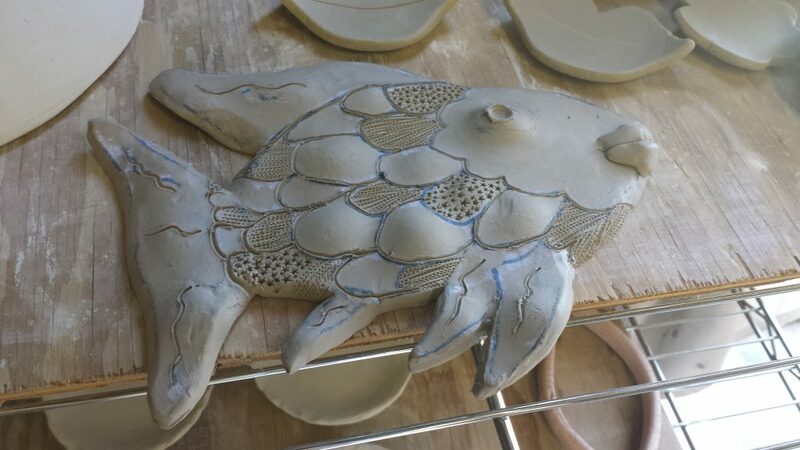 It somewhat fixed itself during the bisque and the clay sagged, but I made a huge error during the final cone 6 firing stage! My goal was to prop it from underneath in three places where it might try to sag (top, middle and bottom.) This should have compensated for the other parts that NEEDED to sag so it would again look flat. The challenge? I got busy and accidentally left out a prop! So in the firing is sagged so much in that unsupported spot it cracked. 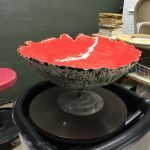 This bowl was made by using a form and then pounded pounding random thicknesses of coils to create the shape and interior texture. The outside texture was made from a rock my husband brought back from one of his business trips to Jordan (so I call this big boy the “Red Jordan”!) The crack, I feel, may have happened due to uneven drying. The weather here in Modesto, CA went from cool to 100 degrees in the matter of two days, I left it uncovered on the day and think it just dried too quickly. 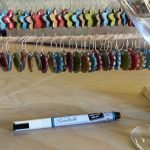 These “Chalkboard Wine Glass Charms” were really a big hit at the event! After drinking enough wine, I figured some people may not remember where they down their glasses! 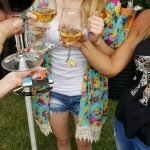 A color, a shape or their name…any one of these could be remembered and connect someone up with their wayward wine glass (lol)! 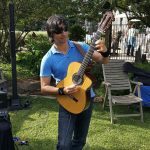 A special thank you to Lucca Winery & John Griswold, Jesse Christian Hendricks (Spanish Guitar Musician) and East Bay Soul – (Greg Adam’s – Tower of Power). As a matter of fact…YES! The last time I worked inside my studio was November 9th 2015, but my mind has been on clay and more specifically “cups” ever since! 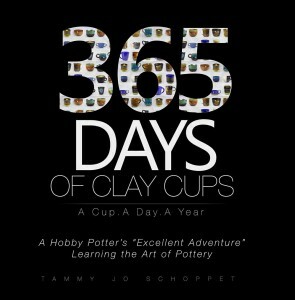 One of my 50th birthday goals was to put the 365 Day Cup project into a printed book…for posterity sake. If I’m honest, I’ve been putting it off for a long time. Since it’s now been 5 years it just seemed like an appropriate time to revisit the journey. I went back and took all my original journal notes with 700+ photos, supporting people and resources, and yes, I even scanned through every single video! 300 pages and 4 months later, I finally finished the book! It was a long, but lovely, process reliving the roller coaster ride of events with so many life lessons I’ve retained from that experience! Do real authors ever feel like this? I’ll tell it to you straight! You’ll probably laugh at me for this, but just go with me for a second! I’m excited it’s finally complete, but the other part of me isn’t. The book has only been available online for 2 days, which means no one but me has read it yet (except the couple people looking it over). The simple fact that someone will actually be reading it has me all wound up! It’s like someone finding my diary and reading it to the class! What if I’m the only one that loves it? What if people think it’s ridiculous and a waste of money? What if there are still typos for goodness sake? I honestly feel like George McFly from the movie Back to the Future…“I don’t think I can take that kind of rejection” LOL! I know I can’t change my mind and just delete it (like a video) if I decide later to keep these memories to myself. Once it’s printed, it’s permanent, there’s no going back…it’s a done deal! 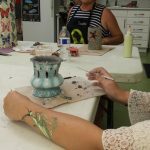 Breathe Tammy Jo, b r e a t h e … you just need to get out there and get back to your clay work! AND AWAY I GO! 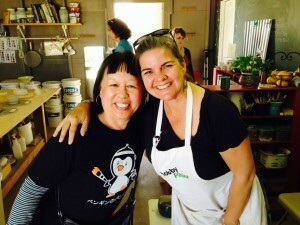 – The Stanislaus Family Justice Centers annual “Art of Justice” event to benefit children that have been through crisis. 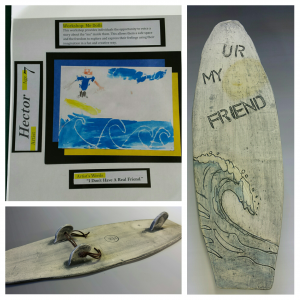 I’ve selected 2 children’s art pieces this year. 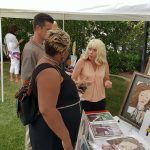 This is one of my favorite events as I love seeing what local artists create using the recovering children’s art and words as inspiration. 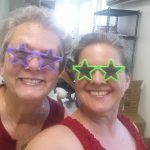 – 365 Cups…in 1 month! For the 5 year anniversary of the project I thought 365 was an appropriate number! I’ve never done consecutive throwing (for fear of boredom setting in). 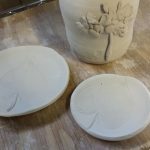 To do this wheel throwing thing like a proper potter, I should do this repetitive throwing thing at least once in my life! There is also another reason….my beautiful daughter Bethany is getting married in October and I need to create 160 “like” cups for her wedding! I’ve never done more than 3 that match, so this should be a true adventure! 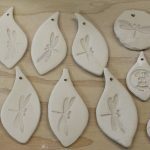 – Stanislaus Artist Open Studio Tour – April 23-24th! – Last 2 years I’ve so much enjoyed this event! 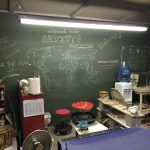 People actually come to my studio where I give them a little tour and we talk about clay. 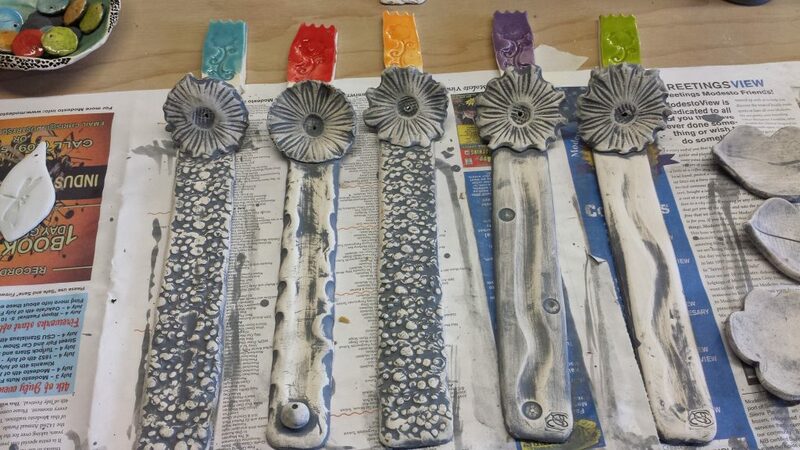 Last year I had every visitor make a ceramic name plate and created a wall piece from them. Turned out great! – March / April issue of Stanislaus Magazine – The fun photo’s I took back in November are going to be in a magazine! Sitting in the doctors office the other day I noticed this month’s issue sitting next to me. So next months visit is going to be so weird LOL! – Looking for some exciting events to enter pieces in…something new and exciting, something to strive for I think. Keep life fun I say!